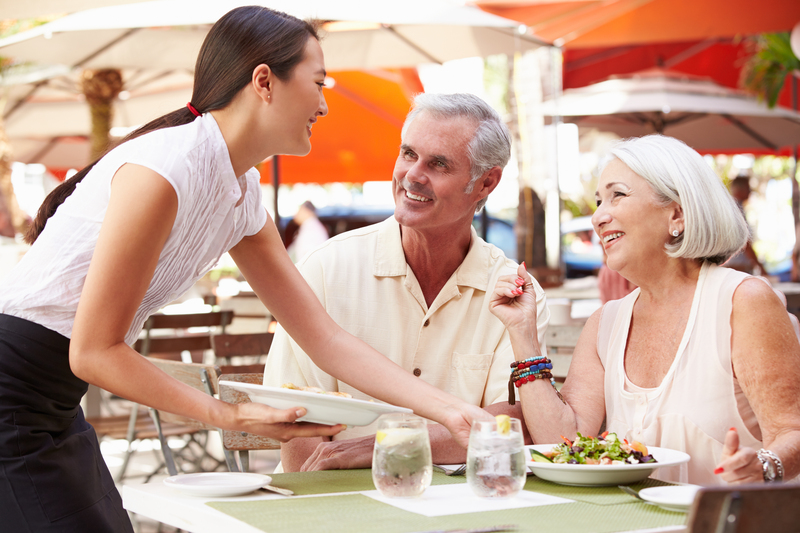 Q & A ask Chef J Stephen… As a server, how do you not let rude customers get into your head? As a server, how do you not let rude customers get into your head? You have to understand a person that exhibits rude behaviour is expecting a reaction to that rude behaviour. The usual reaction is poor service and a bad attitude ( giving them back exactly what they gave you). Don’t take this as personal. Think of their behaviour as a game, a game where they are expecting one thing and you, as the controller of your own destiny, are going to provide something entirely different. In this battle only YOU control what YOU will do. Have fun, enjoy your job. Make it everything YOU want it to be. Q & A with Chef J Stephen… Why do celebrity chefs like Gordan Ramsay and Anthony Bourdain dislike vegetarians & vegetarianism and diss them so much? Why do celebrity chefs like Gordan Ramsay and Anthony Bourdain dislike vegetarians & vegetarianism and diss them so much? Because it severely limits your eating options. To use another example, if you told those same chefs you only eat meat, you would get the same reaction. To a chef (and the millions of foodies in the world), dining is much more than simply re-fueling your body. There are so many ways to craft unique dishes that please the palate. To a chef, limiting your diet, eliminates so many possibilities to enjoy the experience of sampling all the great dishes crafted by chefs (and home cooks). What do we look for in a employee? The interview questions we ask for front of the house candidates and back of the house candidates may surprise you? For me, the key ingredient for front or back is always attitude. A person can be taught process. They cannot be taught attitude. Whether it’s cleaning floors or crafting a soufflé, I want someone that is driven to craft a masterpiece that will assuredly provide the ultimate guest experience. With regards to capabilities, we do follow a few guidelines. For chef’s, I have found that offering externships for the local Le Cordon Bleu College of Culinary Arts in Dallas is the ideal way to get classically trained chef’s that have not yet formed bad habits. Our biggest challenge is servers. Our fine dining Forney, TX Bistro is in a town that does not have any other fine dining establishments. Accordingly, we have a hard time finding servers that understand the difference between food delivery (which is what you get at most chains) and fine dining. In this case, I would rather train a new server from scratch. More time consuming but more rewarding to our guests in the end. I also want someone who has compassion for others and easily assimilates with other team members. I learned many years ago, that one employee who has a bad attitude can quickly destroy a team. My favorite questions are ones that Apple’s retail boss Angela Ahrendts uses in her interview process. I want to gain insight into how they see themselves in the world. • How big is their ego and what role does it play in their everyday life? • Do they focus their energy on being an individual contributor, or on connecting and enabling a wider group? • Do they care more about their own success or about the greater good of the whole? Ask simple questions about their family, friends, peers, personal interests, sports, spirituality, and community to glean a better understanding of their true motivation and leadership attributes. This is usually the easy part, because people love to talk about themselves. Now that they are comfortable and their guard is down, you want to understand how they naturally navigate in the world. • Do they typically think or feel first? • Do they instinctively use their head or their heart? Ask a few business questions about how they handle challenging situations and optimize opportunities. Ask what their team and peers would say about them to gain deeper perspective on how balanced they are intellectually and emotionally. Once you have satisfied that they are knowledgeable in their field, you’ll want to make sure they are culturally compatible. Are they empathetic, compassionate, caring and giving of their mind and heart? A quote from Maya Angelou is what you should be looking for in every hire: “I’ve learned that people will forget what you said, people will forget what you did, but people will never forget how you made them feel.” You want to sense if they truly care about the impact they make on people. You should then go a little deeper to discover what lens they look at the world through. • Do they lean into analysis or their instincts? Do they get into details, or carry on a more conceptual conversation? • Do they make linear decisions, are they a creative thinker, or do they use their whole mind? Then go back to asking more personal questions, as you’ll find that you can better assess their left brain-right brain balance by understanding what they studied, what they do in their spare time. • What do they read, watch, listen to? • Do they light up when talking about the arts, their kids? A company’s success is predicated on you putting the right people in the right place at the right time. You know what you need, and you need to find out who they truly are so both can thrive over the long term. A good example of this is where we place our chef’s. Most new chef’s will tell you that they are equally proficient as a savory chef (cook) or pastry chef (baker). But through experience, I have learned that right brain persons make better savory chef’s and left brain people make the best pastry chefs. Lastly, learn what guides them in the world, or frames their reference points. • How much do they look to the past for trends, and how aware are they of the underlying influences impacting their business today? • Do they have an opinion on the future and how their organization and strategies will need to evolve to keep pace? Are they adverse to or do they thrive on change? This is how you should wrap up the interview, and before they leave it is important to let them know how you feel. If you loved them, tell them so and say you look forward to continuing the conversation. If they are not right for the position, it is best to be honest while you are together so they don’t get their hopes up. Always treat them as you want to be treated, and make sure they leave feeling positive even though they are not right for the current position. It is important we all sleep at night and that they leave with respect for themselves and the company. Good luck, and remember: Building a brilliant team is your job. Nothing you do is more important or adds more value. If they pass these questions, only then do we explore their actual hands-on capabilities. Cinnamon May Be Much More Than Just Another Pretty Face! We use plenty of cinnamon in our cakes. Most home bakers don’t realize that there are many different types of cinnamon that produce many different flavors. The finest cinnamon is Saigon Cinnamon and that is the only cinnamon we use. It produces a rich, full bodied flavor that is much improved over the common cinnamon sold in most U.S. stores. But, did you know that any cinnamon you use boosts metabolism in your fat cells? In a study, recently published by researchers from the University of Michigan, researchers found that cinnamaldehyde (the base oil that gives cinnamon its flavor) has a direct effect on fat cells in humans. Their tests confirmed that exposure to cinnamon oil triggered human fat cells to start burning calories through the process known as thermogenesis. In addition, that cinnamaldehyd increased the activity of not only the fat cells but also several genes, enzymes and proteins that are known to enhance fat metabolism. Fat cells store energy in the form of lipids. This stored energy is used by the body during periods of food shortage, or converted to heat during cold periods. But in todays society, where we don’t usually run into food shortages or exposure to cold, that same stored energy has nowhere to go and is instead converted into unwanted weight gain. Researchers at the University of Michigan Life Sciences Institute, believe that consuming cinnamon on a regular basis may be one way to make fat cells burn some of that excess energy. Although the study looked not on an actual human bodies but at the fat cells directly, more research will be needed to confirm exactly how cinnamon actually effects the body but the implications of burning some of that excess energy is an exciting find. So keep that cinnamon shaker busy. It just might help in the battle of the bulge. Many would think that this is simply a cost saving strategy however, they would be entirely wrong. Straws are actually very inexpensive, but they cost us all down the line. There are actually two reasons for our “upon request only” policy. But first, a little history of the straw is in order. The plastic straw is a simple tool originally designed to make drinking easier and “supposedly” hygienically safer. The first straws were made of rye grass. Produced naturally, they were, like most products produced before the 1900s, biodegradable. Although widely used at their introduction, the problem with rye straws was twofold: (1) The straws affected the taste of the drinks and (2) they had a tendency to disintegrate into whatever beverage you were drinking. The next iteration of the straw was the paper straw. Most baby boomers will remember the candy cane striped straw offered at their local malt shop. Although biodegradable, they had one serious problem. Made from paper and coated in beeswax, they didn’t negatively affect the taste of the beverage like rye straws, but they did eventually disintegrate in the beverages AND they were unable to stand up to thick shakes, malts and most recently slurpees. By the 1960s, along came the marvel of science, so popular that we continue to use them today in a multitude of shapes and sizes, the plastic straw. But for Crumbzz, although it may be a marvel of science, the plastic straw harbors two negatives that are against everything we stand for. If you noticed in the third paragraph of this post, we inserted the word “supposedly” when speaking about the sanitary benefits of drinking from a straw (versus drinking directly from a cup or glass). That is because multiple studies have shown, contrary to public opinion, drinking straws are actually LESS sanitary then drinking from the glass. This has to do with their storage and handling prior to use and the fact that most restaurants use sanitizers when washing dishes and glasses. This doesn’t mean we should ban straws to prevent them from polluting the environment, but it’s clear we should carefully think about changing our drinking habits. Before you ask for that straw, remember that straw you use in your drink doesn’t biodegrade, and stays around forever, and usually ends up floating in the ocean, where it becomes a danger to all ocean living animals. Now that you know it can actually be less sanitary than drinking from a glass, is it that much harder to drink your beverage from a cup or glass? It doesn’t seem like a big thing but the world is changed by millions of little things and the problem with straws are that they’re so insignificant that we usually take them for granted. Perhaps we shouldn’t. 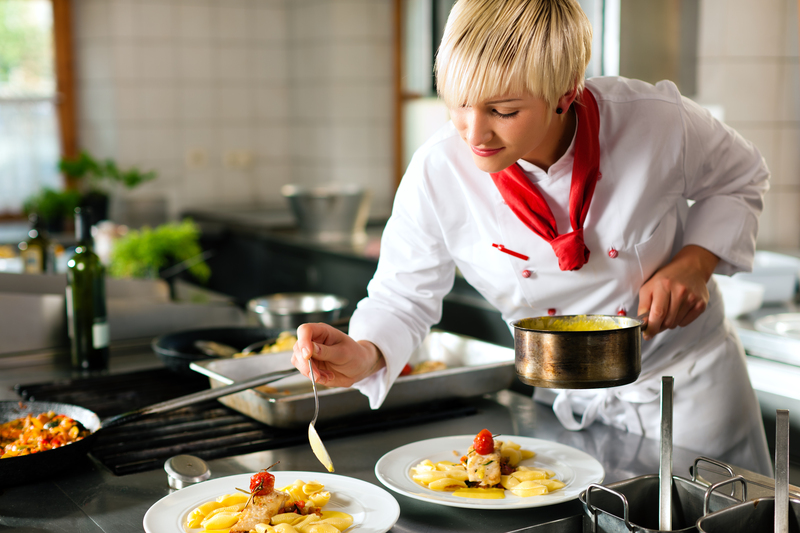 Considering a culinary arts school, before you do, read on. We have hired several newly “minted” chefs directly from culinary schools usually through an internship program. In every case culinary students find their biggest challenge to be timing and pressure. They have the knowledge to create dishes from scratch (a valuable tool for an Executive Chef) but can only understand the pressures a commercial chef faces by working in an actual commercial kitchen environment. Don’t get me wrong, I continue to view the hiring of culinary students through intern programs a valuable tool and find qualified students who continue to advance in their career at our bistros and bakery. However, my first hand experience is that, despite all those newly learned skills and knowledge, only one out of three will make it in the industry. Question One – Do you thrive under “blow and go” pressure and love having new challenges thrown at you from left to right? A yes answer allows you to move on to Question Two. Question Two – Can you maintain a clear mind and balanced personality with the ability to inspire people to push themselves to the limit day in and day out? If you answered yes, fantastic! Move on to Question Three. Question Three – Can you consistently produce quality dishes that not only taste great but also look fantastic each time? If you have answered yes to these three questions, you may just be chef material. Now you can move on becoming a chef. Culinary school is a valuable (but not necessary) tool if you plan to move up to Executive Chef. As mentioned above, it provides you with valuable knowledge on the “how to” of creating and in some cases, saving dishes. It will also give you a pretty good idea if you want to be a savory chef (cook) or pastry chef (baker) two very different professions. Working in a commercial kitchen is a “required” tool to get in and move up in the industry. And we’re not talking in a chain, which will only teach you how to heat up and serve food. If you plan on making this your career, it’s better to start out in prep for free in a fine dining restaurant then get paid to work as a “head chef” in a chain. If you have answered yes to my three questions, get into a fine dining restaurant doing anything you can. Watch, listen and learn. Move up through the ranks. Experience is a more valuable asset than culinary school at this stage. Don’t get me wrong, culinary school is a valuable arrow to have in your quiver, but experience is the bow. It will tell you if you’re cut out for the business, what area you excel in, all while providing you with added chits for your resume. Think of experience as the cake, culinary school as the frosting. It should be the finishing touches to position you in a very rewarding industry that, although extremely challenging is also extremely rewarding. Q & A with Chef J Stephen … Why do all restaurant waiters tell me their names? The answer to this question is simple…. Tips. Research has clearly shown that when a server states their name they become a real person to the guest. When they kneel down, touch your shoulder, speak to your kids, they further personalize themselves, all resulting in increased tips. You might stiff a faceless “food deliverer” but almost never a person you are acquainted with. This may sound like a cold hearted fact but doing these things is actually a win/win for all parties. The server makes more money (usually) and believe me they work hard for every penny they get, the guest feels special and the proprietor has provided a service that will assure their guest will come back to that special place that treats them so well. Where the system breaks down is when the process is institutionalized. When chain restaurants all “train” their staff to follow “standardized” welcoming rules, they become rote and lose their meaning. Servers then “blindly follow” their “training” without thinking because it’s the “rule”. At our Forney, TX European Bistro, we ask our servers to treat people like they have just come in to visit them at their home. Do those thing that will personalize you to your guests, but do them because you mean it, just as if you are talking to a friend. Not easy to do when you have a line of guests waiting to be seated, looking for refills and awaiting their dishes. But that’s the art of being a professional server. Understanding who needs attention and the attention they require is an art not a process. Chains who are all about systems and controls often lose site of that fact. Eating alone at a fancy restaurant. One simple change can make a difference! I personally like to eat alone on some occasions, especially when I’m working on business issues that I need to think through. One of the things I do hate is when hosts make you feel like a loser when they ask “JUST one?” The question makes one feel as if, you really can’t find even one more person to dine with? I believe this simple change makes our single dining guests feel welcome and comfortable.